Looking for other countries ??? Click here ! From Press:What they said ??? In Memory of Our Fischer's lovebird "Haydut - Bandit"
My name is Izzet Kirbas and I live in Istanbul - Turkiye. I'm an Electrical Engineer, living and working in Istanbul. I'm 58 years old. I collect used phone cards all over the World, preferred with some themes. My favourite theme is butterfly phonecards. Please visit my butterfly cards link above and I guess you like it. Trains, civil aircraft's, space and satellites, animals ( especially butterflies and tigers ), Santa Claus, Coca/Pepsi Cola, Disney's, UNICEF, Formula 1 and Racing cars. First phone cards have been appeared in September 1986. They have been issued by PTT and they were Swiss Landis & Gyr optical cards. They are produced between 1986 and 1992. Beginning from 1989, optical cards changed to Belgian Alcatel-Bell type which are thin magnetic cards. On April 24th, 1995; the operation rights of the telecommunication system in Turkiye handed over to Türk Telekom Company. Alcatel cards are produced 3 different versions: 30 units, 60 units, 100 units and they are most widely used cards in Turkiye. A special point of the Alcatel cards used in Turkiye were : The cards retained by the phone when the credit expired to re-charge and re-sold them until summer 1999. For this reason it is difficult to find the cards issued before summer 1999. 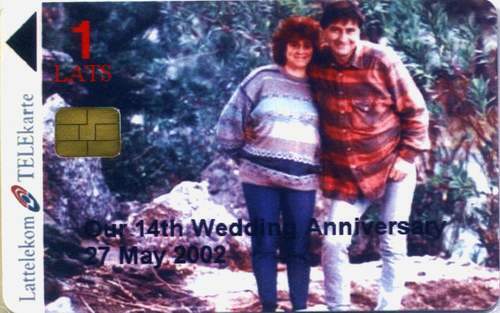 Türk Telekom has not issued different designed common cards between May 1997 and May 1999 except limited issued (10.000) anniversary cards. Generally these cards gone to sellers and never sold in public. For this reason it is always difficult for me to find different cards to swap except the new ones. I can swap maximum up to 20 different cards at a time. Smart chip phone cards are not produced and used in Turkiye until 1996. First widely used smart chip phone cards issued on May 1996 by Netas Telephone Company during the United Nations Conference on Human Settlements,Habitat II City Submit, 3-14 June 1996 in Istanbul. They were 100 and 350 units and 44.000 and 36.000 pieces issued each one's respectively. At the beginning of the 1998, Türk Telekom introduced new "Kuresel Kart". They were prepaid remote call cards. They are sold in a sealed envelope with hidden pin code on reverse side. Only three different cards issued up to now: 100, 200 and 400 units. Their units are different from the magnetic cards and 1 unit of a pre-paid card = 2 unit of a magnetic card, so we can say in fact they were 200, 400 and 800 units. Unfortunately this system did not widely accepted by users and already out of operation. In September 2000, Türk Telekom demonstrated its new smart chip cards and new public phones in Bilisim 2000 CeBit fair. Some different chip cards are distributed in that fair to show and demonstrate new chip operated phones. Beginning from January 2001, these new chip operated public phones installed at the different districts of Istanbul, as a pilot region; later expanded as cover all over Turkiye. New public phones accept both smart chip and credit cards for calling. At the moment, both new chip and Alcatel magnetic cards are in use, but they will all replaced by chip operated after a few years transition period. New smart chip cards came with a 16 cards series : "Great Turkic States in the History". 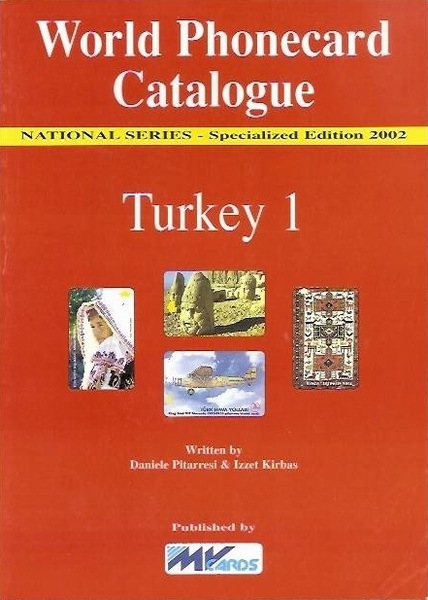 Series completed at December 2001. Other chip series with nice themes followed this first chip series. Images can be seen at the relevant link above. In September 2004, new prepaid cards introduced with a promotional 20 units followed by 50, 100, 200 and 500 units sold at the PTT's and Turk Telekom distributors. This page frequently up-dated. I will add more detailed information about Turkish phone cards in the future.